Graveside services will be held Friday, March 29, 2019 at 11:00a.m. at Oakridge Cemetery with Rev. Chip Grantham officiating. The family will receive friends at the graveside after the services. 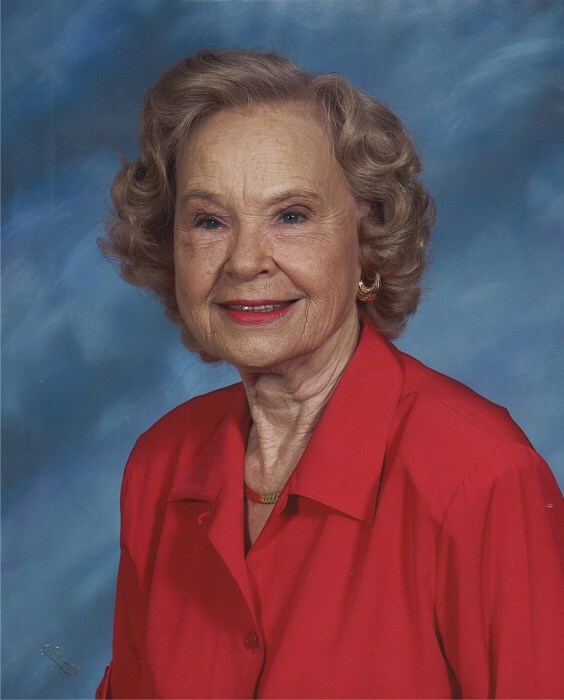 Mrs. Ross was born January 13, 1929 in Irwin County to the late Marion M. Weaver and Eva M. Walker Weaver. In addition to her parents, she was preceded in death by two brothers, Marion M. Weaver, Jr., and Amos Weaver, one sister Virginia Griffin. Mrs. Ross was a member of First United Methodist Church from 1962 until present. She was a graduate of Tifton High School and a member of the Ladies Auxiliary of Tift Regional Medical Center for forty years. She was affectionately known as “Grandmyrtle” and was a devoted Mother, Grandmother, and great Grandmother. Mrs. Ross is survived by three daughters and sons-in-law, Susan and Dale Foy of Long Beach, Mississippi, Cindy and Steve Chandler of Greenville, South Carolina and Joy and Billy Carmichael of Rome, Georgia; seven grandchildren, Christy and Scott Smith, Ross and Brandi Carmichael, Drew and Alison Chandler, Laura Foy, Emily and Andrew Carson, Grant and Katie Carmichael and Julie and Luke Fortenberry; seventeen great grandchildren; one sister, Theatus Johnson of Tifton; one brother and sister-in-law, John and Jean Weaver of Tifton. In lieu of flowers donations may be made to First United Methodist Church of Tifton, 107 West 12th Street, Tifton, Ga. 31794.